Albert J. Carrier, 92, of New Britain, husband of Julia (Croteau) Carrier, passed away at home on Tuesday, July 31, 201, surrounded by his loving family. Born in New Britain, he was the son of the late Edmund and Agathe (Martineau) Carrier and was a lifelong New Britain resident. Albert was a decorated U.S. Navy Veteran of WW II. He was formerly employed as a tool and die maker at North and Judd Manufacturing for 50 years before retiring. 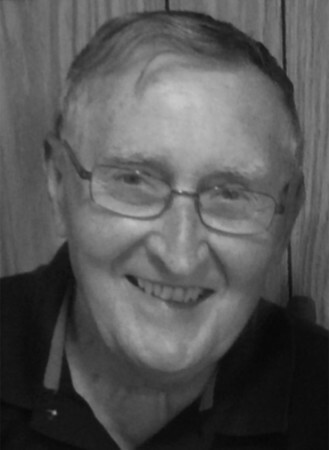 Albert was a devoted member of St. Francis of Assisi Church and was a long time director and officer at CCARC in New Britain. In addition to his wife Julia, he is survived by four children, Diane Walker and her husband, Richard of Plainville, Denise Carrier of New Britain, William Carrier and his wife, Elaine of Holliston, Mass., attorney Michael Carrier and his wife, Rita of New Britain; a brother, Robert Carrier of Kensington; two sisters, Rita Kelly of New Britain, and Monica Erickson of Avon; nine grandchildren, four great-grandchildren; numerous sisters-in-law, and brothers-in-law, and many nieces, and nephews. In addition to his parents, Albert was predeceased by his brother, Raoul Carrier. Posted in New Britain Herald, on Wednesday, 1 August 2018 20:00. Updated: Wednesday, 1 August 2018 20:02.